This is a blog entry written as a result of frustration. I am an extremely intensive Twitter user (@jonworth has 12k followers, follows close to 5k, and has produced 54k tweets) and I recently switched from an iOS to an Android phone. 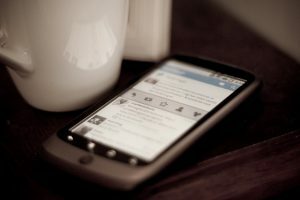 A vital question was hence: what is the best Twitter app for Android? Friends gave me plenty of suggestions, and I have tried all of them out, and review the 11 apps suggested to me in detail here. The short answer is that there is no perfect Android Twitter app, but that some of them are better than others (and none of them are better than Tweetbot on iOS…). The apps were tested on a Fairphone running Android Jelly Bean 4.2.2. Each app was used for at least one whole day, in a variety of situations – at events, while on the road, as a means to follow news as well as to write tweets, and were assessed according to my own Twitter needs. All tests were conducted in the first half of October 2014. The criteria used to assess the apps were: Twitter List Viewing, Twitter List Admin (can accounts be added to lists), Can RTs be seen, BitLy Link Support, Alternative image upload tools, Text Mute Filters, Hashtag previews, Notifications, Streaming, Saved Searches, Speed, and Multi account support. Short reviews of each app are provided below, and a table of each of the criteria used can be found at the very end of the blog post. If you think my review is unfair in some way, or you have more to add, please do comment, and if necessary I will update the blog entry accordingly. This app is not free, but it is worth paying €3.49 to purchase it. It is cleanly and neatly designed, is fast and stable, and is logical and simple to use. Its only small shortcoming is the lack of extra link shortener and image uploading support, but other than that it has all the necessary features to run a busy and professional Twitter account. Like Fenix, Talon is beautifully designed, and is fast and stable. Costing €1.45 is it also cheaper than Fenix. It does not win the top prize due to the rather annoying notifications that appear at the bottom of the screen, although the way it deals with Retweets, and Twitpic support, are welcome. It would be better suited to a Twitter account following a few hundred accounts than a few thousand. This app is not especially clearly designed, and feels somewhat old fashioned, yet under the hood there is an option for everything. Indeed the sheer number of options available at every turn are sometimes bewildering. Yet if customisation is your thing then this app might do the job for you. A free, ad-supported version is available, as is an ad-free version for €3.77. Twitter’s official app does a solid job, but it obliges the user to conform to Twitter’s standard menu options – Notifications and Discover – that I find an annoying constraint. The app is fast and simple to use though. I however fear that as Twitter becomes more and more a platform for advertising, so the app will also become dominated by this. Only use this app if none of the independent apps work for you. This app looked promising initially – a clearly laid out and well designed app, and with advertising delivered in a non-intrusive way, meaning the app is available for free. However, in my tests anyway, it has one serious shortcoming – it is very slow, especially to load new tweets. This may be to do with the size of my Twitter account, or my phone or Android version, but I was left tweedling my thumbs. This app works best if you also use Hootsuite in your browser, and synchronises with that. It also has Hootsuite’s own link shortener and photo sharing systems built in. However this means the app does not do an adequate job as a stand-alone app – you can just about make it work to your needs on its own, but there are other apps (especially Fenix and Talon) that work far better. If you do not use Hootsuite on your regular computer as well then do not use this app. It is free though. Like Hootsuite, Echofon suffers (or benefits) from the multi-platform problem, although its desktop apps are more suited for individual use than Hootsuite’s browser dashboard. A free, ad-supported version of the Android app, and a €2.99 paid version, are available. On its own however the app lacks some of the basic functions of the others listed here, and was not especially fast in my tests. It is no beter than adequate. This app confused me. UberSocial has been around for a long time, having been the best Twitter app on Blackberry for a long time, and then having been developed for other platforms. A free, add-supported version, or an add-free version for €3.83 are available. However complicated interface design, and a lack of proper list support, mean other apps are a better bet. This app tries to be a stand alone, cover all bases app, but does not quite do the job. The interface is not as elegant as some of the other apps reviewed, and some of the controls are very small and fiddly. It is €3.61 without ads, or free with a rather intrusive advertising banner at the bottom of the screen. It also, oddly, has no simple way to see where your tweets were retweeted. This is an open source project, so the app is free to download and does not have any ads. However use of the app is a bit of a frustrating experience. It is as slow as Tweedle, and the lack of reliable hashtag and username previews means finding who and what to cite is a frustrating experience. Yes, many options in the app are configurable, but its shortcomings make it frustrating to use. This is a precursor of Twidere, and is also open source, so is free to download. It runs faster than Twidere does, and for an individual account is a better bet, but it only allows the administration of one account, and its notifications system did not work properly. I am interested anyone who has tried Fenix or Talon Pro ( requires lollipop) as I think Echofon Pro badly needs new features . The one thing it does to well is Push notifications – I think this a future feature for at least one of those previously mentioned. I noticed you didn’t mention Falcon Pro. I was using Plume before Falcon Pro. It has tons of features. Plus you can shorten links, add multiple accounts, and more. The only issue is that’s it’s not on the play store and no tokens, but there is a workaround on this. Very helpful, Jon. My only regret in switching to Android was the loss of Tweetbot. But Fenix seems pretty good. @Thomas – Hootsuite should do Facebook as well. But I must say I did not analyze Facebook as a feature of these apps. @Laura – all links still work for me, from a German IP address. Possible you’re in a country where these apps do not exist? I was looking for a good app for twitter you mention a few but when I try to go to your links (talon and tweedle) and Google Play show me an advise that the element doesn’t exist. Great article. I am going to check out all of these apps. I have been increasingly frustrated with the twitter apps that are out there. I am always changing my twitter app but the one that has me coming back to it is Plume just because it actually has some form of Facebook integration. I’m wondering do you know any other apps that include Twitter and Facebook that work well? I was so frustrated on finding the perfect client and I did, it’s Janneter the only problem it’s that it’s a little price but totally worth it. It’s the fastest way to use lists and manage a lot of accounts. Nothing can beat TweetDeck back when it was a mobile app, although presently I’m finding Twitter’s own app to be fine for my needs, or maybe I’m just so used to it that the third-party apps I’ve tried just seem needlessly complicated due to how different they are. @Peter – Twitter’s own analytics – oddly to be found at ads.twitter.com, even if you don’t advertise, can help with that. @Sergio – thanks! It looks reasonable. I’ll have a go when I have a spare moment. Hello! I’m also switching from iOS to Android and i can’t find anything like Tweetbot… 🙁 however, did you tried Tweetings?… i will probably use it.. Thanks for sharing this Jon. Do you know if there is an app which can also tell you how far your tweets travel in the twittersphere? i.e. something more that the number of retweets cos that does not help much. 15 people with fewer than 15 followers would not be the same as 15 people with 15k followers. I’m also interested in stats which could help evaluate the global range too – to see if tweets travel far or if they remain in a “bubble” or a particular community. An app with these kind of stats would be useful.